At one of the game’s biggest pressure cookers, Grand Rapids’ Matt Harmon and Traverse City’s Randy Hutchinson survived the second stage of the PGA Tour’s Q-School and advanced to the finals on Nov. 28-Dec. 3 at PGA West in Palm Springs, CA. Both Michigan State grads, Harmon and Hutchinson competed at different sites in Florida and Texas respectively. Finishing 10-under par for four rounds, Harmon ended up T-17, good enough for the last qualifying spot. Hutchinson finished at eight-under par in T-12 position. At that same site in Texas, Ryan Brehm—another Spartan standout and past Michigan Open champion—missed qualifying by a single shot. 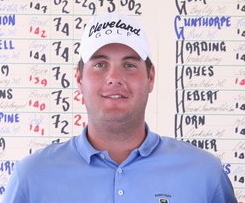 Former Michigan Amateur champion, Willie Mack III, also failed to advance. But just take a look at some of notables not making it out of the second stage: Rich Beem, Ted Purdy, Chris Riley, Joe Durant, Robert Damron, Lee Janzen, Jason Gore, and Cameron Beckwith. 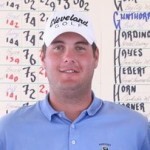 In spite of securing his PGA Tour card for 2013 via his yearly earnings (20th spot) on the Web.com Tour, Jackson’s Brian Stuard also will be competing in the Finals for the prize money and the chance to improve his standing for added events next year. (Note: Michigan’s Justin Hicks and Doug LaBelle II also earned their cards next year but are not competing in the finals.) Harmon, Hutchinson and Stuard will be part of the 156-player field competing at stroke play over 108 holes (6 rounds.) Another upside to Harmon and Hutchinson making it to the Q-finals, they’re assured of a home on the Web.com next year. Coincidentally, I ran into former Michigan Amateur champion Andy Matthews at the U-M football game this past Saturday in Ann Arbor. Electing not to compete in the Q-School, Matthews is focusing instead on a strength and conditioning program at U-M as well as the new 2013 Canadian Tour which will become a gateway into the Web.com Tour. Acquired by the PGA Tour only last month, the Canadian Tour will have at least eight tournaments next year, each with prize money of about $150,000. Web.com Tour cards will be awarded to the top five players on what now will be called PGA Tour Canada, with the next five players given exemptions into the final stage of qualifying school for the Web.com Tour. A Grand Rapids native, Matthews is a former winner on the Canadian Tour at the 2010 Mexican PGA championship.